Manufacturer of a wide range of products which include wood waste briquettes maker, wood waste briquettes machine, wood briquetting press, wood briquetting machine, briquetting machine for wood and wood waste briquetting press. We are pioneer in the field of the Wood Waste Briquettes Maker manufacturing and supplying since 1991 in Rajkot, Gujarat. The pollution free briquette manufacturing machine is a great enhancement in the renewable energy world. Our primary aim is to provide the best suitable briquetting press machine to our clients. Wood Waste Briquettes Machine is used to make wood briquettes from agriculture waste and wood waste. Output product briketes have a high calorific value, much higher than regular firewood and comparable to brown coal. These machines are used in various industries for their different purposes. Wood briquetting press is widely appreciated by our clients who are situated all round the world. High in demand, these Wood Briquetting Presses are available at the most cheapest & reasonable prices compare to others. They have vast production capacity and required less electricity to make wood briquettes. There is an effective way to make briquettes from wood briquetting machine. Briquetting press manufacturers are making best wood briquetting machines as per client’s demand and need. Wood briquetting machines are easily available in the industrial market with reasonable price and high quality. We are offering best briquetting machine for wood with superior quality and affordable rate. It is also known as briquette press machine or biomass briquetting machine. The main work of this machine is to convert all types of agriculture waste and industrial waste into briquettes. The wood waste briquetting press is used to convert forestry and agricultural wood waste in to the blocks of eco-friendly fuel briquettes. Our biomass briquetting press project is highly treasured in international market for high quality briquette production. The wood waste briquetting press machines are helpful for supplying clean and green fuel. Radhe Group Rajkot is well known supplier of the wood waste briquette press equipment since 1991. 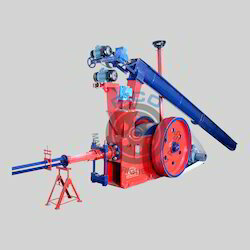 These type of briquetting press is used for the conversion of the biomass wood waste in to the highly energetic coal identified as bio fuel briquettes. Thus, wood waste briquette press is used for the eco coal briquette production at lower cost. We, Radhe Industrial Corporation are highly esteemed in the international market for the manufacturing and supplying superiority range of the Wood Waste Briquetting Machine. This type of briquetting machine is manufactured at our home owned briquetting units which does not create any pollution & hence it is eco-friendly. We also provide the Wood Waste Biomass Briquette Machine which are able to make the coal briquettes from the variety of the bio waste substances released during the agricultural and industrial motions. This eco-friendly method for the briquette production from wood and biomass waste is done without causing environmental harm. We satisfy our clients by providing all necessary information and providing machines as per client’s specifications.